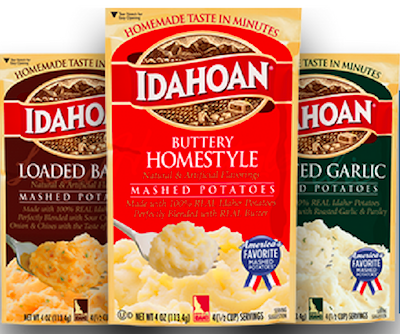 To get a FREE Idahoan Potato Pouch or Cup (1.5-4.1 oz.) at Kroger & Affiliates Stores select your store below and load it to your shoppers card! The coupon will only be available (Friday November 25 2018) between the hours of 12:00 a.m. and 11:59 p.m. and be Redeemed by November 18, 2018.